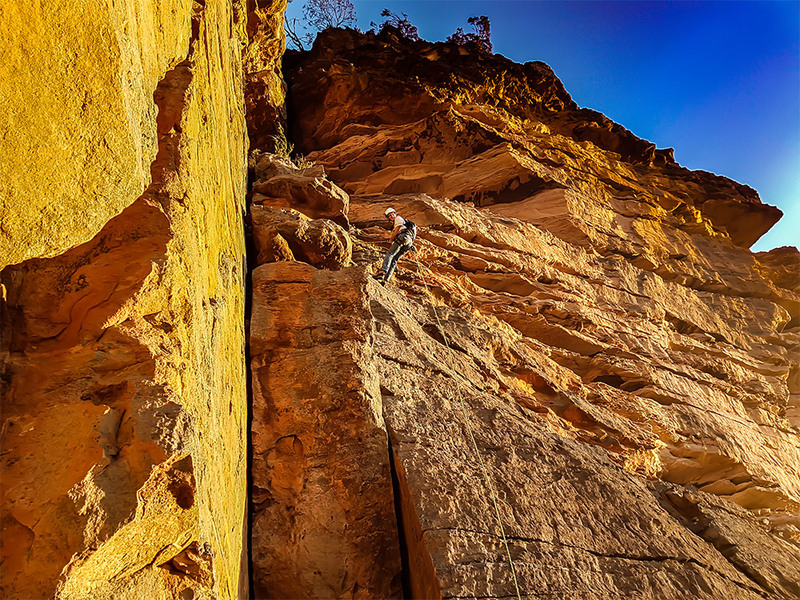 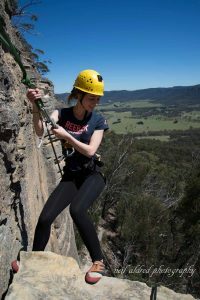 Combining 4 pitches of abseiling and 3 pitches of rock climbing, this is a fantastic multi-pitch trip. 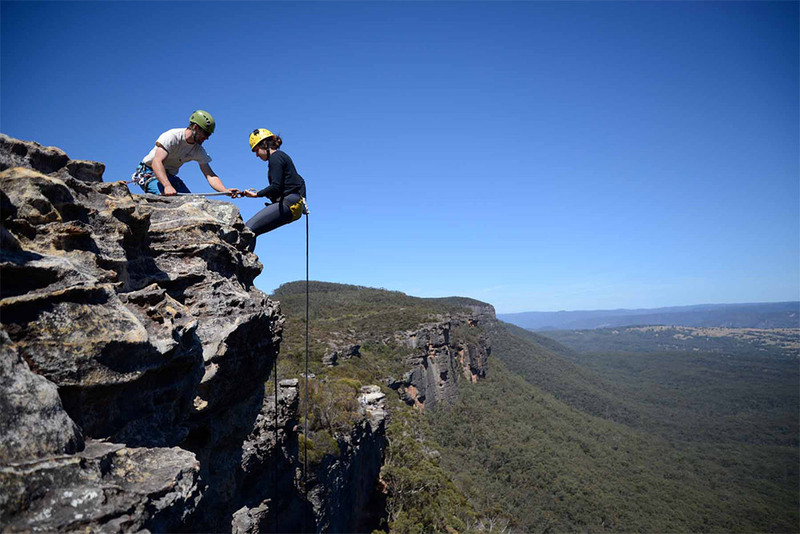 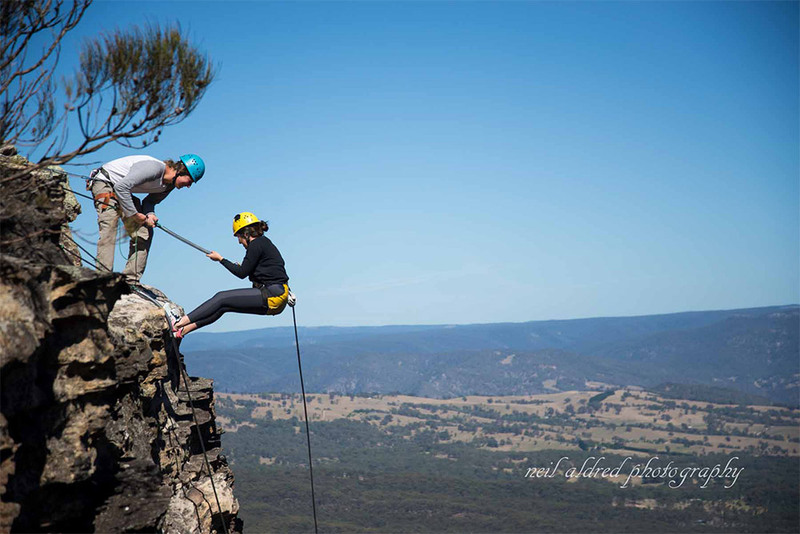 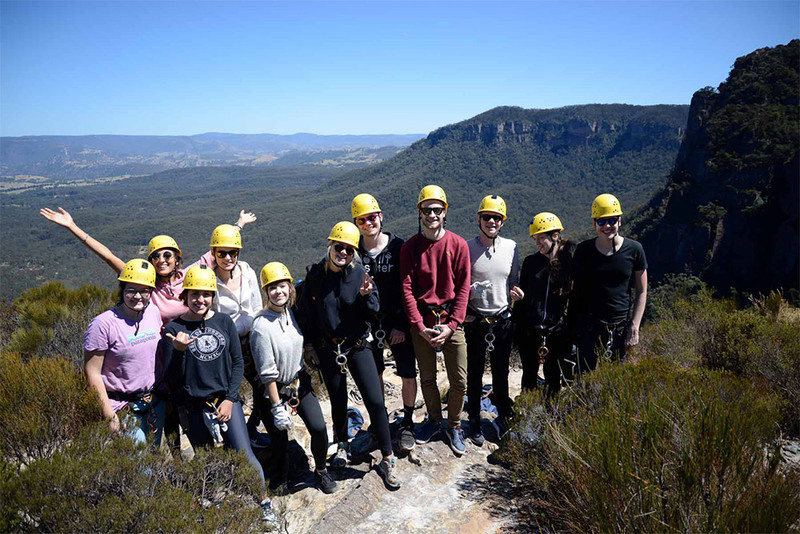 The day starts with a 30-metre abseil into a complex system of ravines. 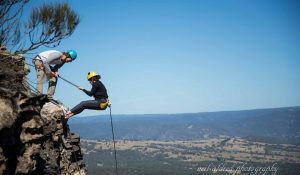 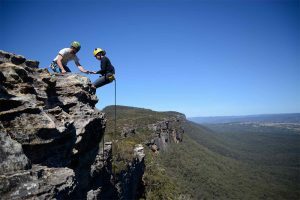 We rope traverse through an amazing slot to a series of abseils that takes us to the lunch ledge and the start of the climb. 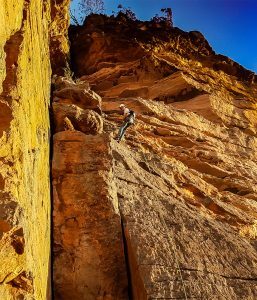 The first pitch of the climb is up a steep cliff with large holds at grade 12. 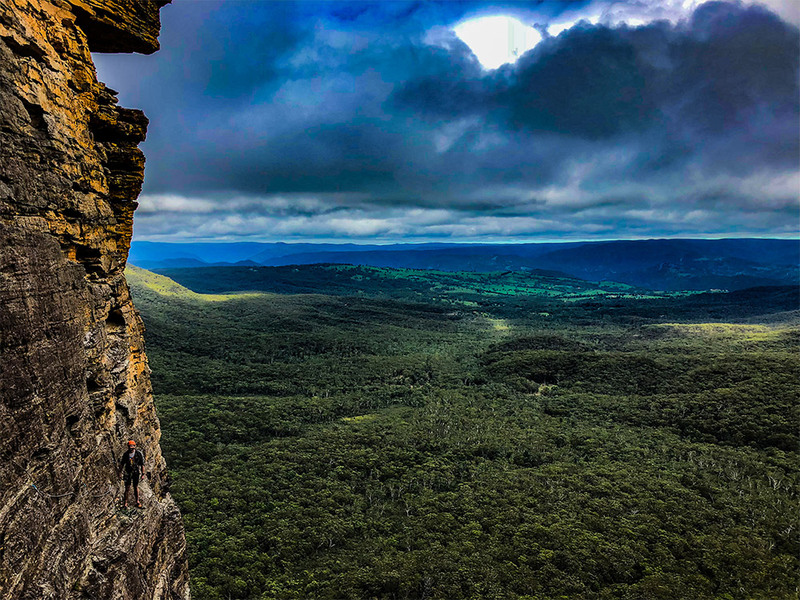 A further 2 pitches take us to the rim of the valley and a 5-minute walk back to the car.